Gift-giving can be a very touchy subject. Don’t give a gift and you’re selfish. Give the wrong gift and your a jerk. To be honest, I have never been great at giving gifts. And so for the most part I steer clear unless I find something I feel suits the person very well. Overall I don’t try to force it, and I don’t like to over-do it. One very well thought out gift is better than 100 cheap things that will never get used. Furthermore, a homemade gift can always be appreciated because it is quite evident that you put in time and effort to create this thing for the other person. 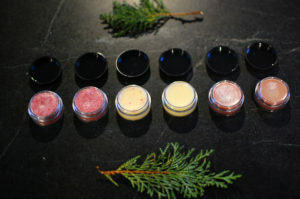 So when I do give gifts, it’s usually in the form of food, or homemade body care products because that is what I enjoy making. And if we enjoy the process, that will be transferred in the gift we give as well. That, to me, is a good gift. On that note, maybe you have all your holiday shopping done, and you are all set. Or perhaps you are like me, and leave it until last minute because nothing quite fits the bill. For those who aren’t quite sure what to give, here are some great homemade gift options that will be well received by all. In the end, no matter what you decide to gift this season, try not to get too stressed out about it, and simply enjoy the process. 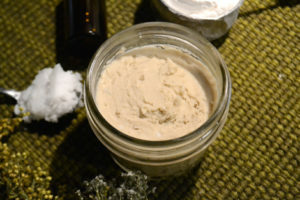 Anyone can benefit from some natural homemade deodorant. No one wants nasty ingredients soaking into their bodies. For the mom who wants a night out, the little ladies growing up just too quickly, and everyone else in between. 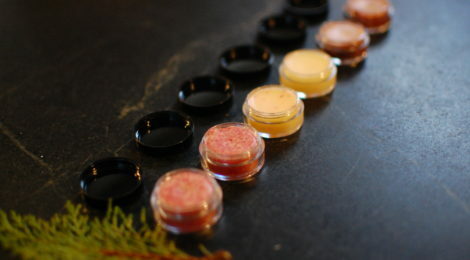 Whether you decide to make these tinted or not, a lip moisturizer is a great gift for everyone these dry winter months. 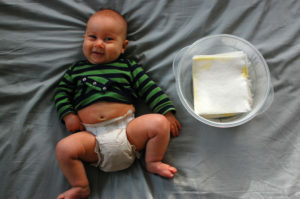 For the new mamas in your life who love the idea of clean living, and want to pass that on to their kids. For anyone looking for a bit of self-care. 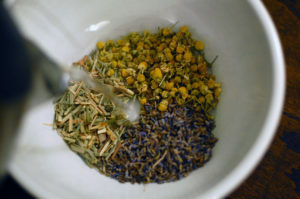 Simply pack the herbs in small jars or containers to wrap up nicely. Insert a simple note with the directions on how to use it, and voila! 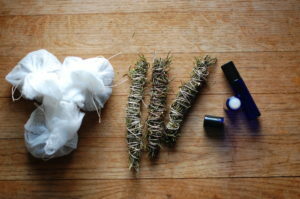 For the spiritual gods and goddesses in your life, give the gift of smudge sticks, bath tea bags, or homemade essential oil roll-on perfume. And if all else fails, browse our recipes for some tasty treats to bring to any holiday gatherings.